The term "German Engineering" isn't just a catchphrase that a marketing executive thought up to sell more cars. It's a motto that we follow in all of our dealings. Your Volkswagen vehicle was designed with very high standards in mind, and we've put everything in place to ensure its continued performance and reliability. That's why we only deal with Volkswagen Original Parts from the manufacturer to complete all of our repairs. These parts were created to fit perfectly into your Volkswagen to ensure every vehicle can deliver on its promise for performance and fuel-efficiency. 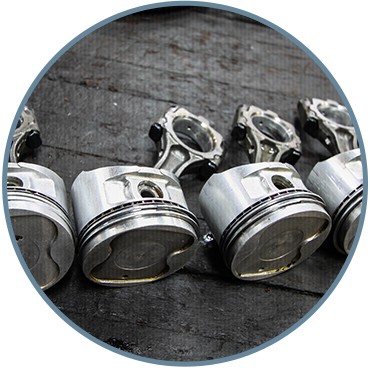 The best way to avoid getting stuck with inferior auto parts is to order them from a reliable source, which is why our Volkswagen Original Parts department is here for you. We have your best interests at heart, and you will be included in all of our discussions to ensure absolute transparency. Regardless of whether you need a new battery or a specific part for do-it-yourself repairs, we have everything you're looking for at Owen Sound Volkswagen. To safeguard against unexpected repairs, ask us about the Mechanical Breakdown Protection for pre-owned vehicles. You can also ask us about the Owen Sound Old Volks Members Club for our parts and service loyalty plan.